Ergonomic DuraFork - Jacks Inc. If shipping UPS, Additional Handling Fee Applies. SOLD BY CASE LOT ONLY. 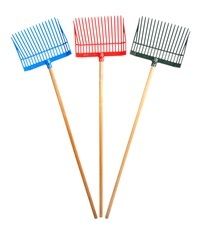 Manufactured from extra strong polycarbonate to provide strength and enhanced flexibility. 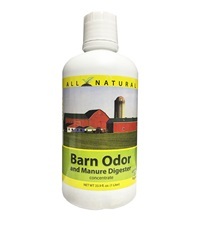 Designed for long lasting use around the farm, ranch and home. 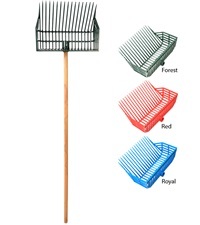 Specially designed tines are uniquely angled to provide easy manure pickup with less spilling. Nylon locknut secures handle. 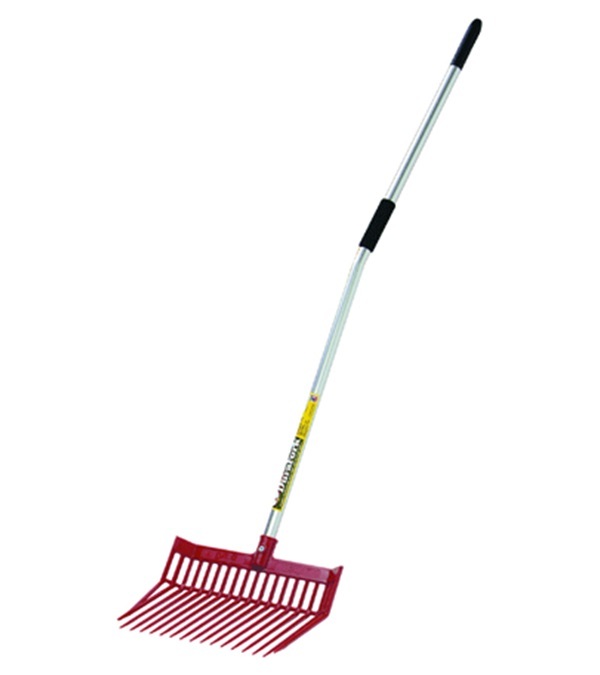 52" lightweight anodized pre-bent ergonomic handle and foam grip. Fork head is 13.125" long and 15.125" wide. 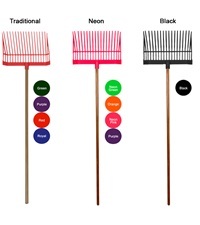 Available in red only. Additional Handling Fees apply when shipping UPS. 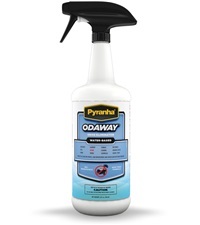 Pyranha® Odaway® Odor Eliminator 32 oz.